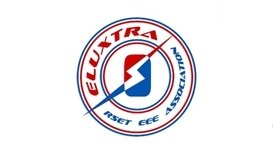 ELUXTRA is the Association of Electrical and Electronics Department, which provides a platform to students to showcase their ability in the curricular and extra-curricular activities. The association includes students of B.Tech and M.Tech Programmes. ELUXTRA conducts various activities round the year, which will be led by the students in accordance with the faculty members. • Seminars on latest technologies given by eminent industry personalities and academicians. • Quiz competitions for the students within the departments and for students from other colleges. Design Project Expo for S5 EEE students to showcase their innovative and creative design models.